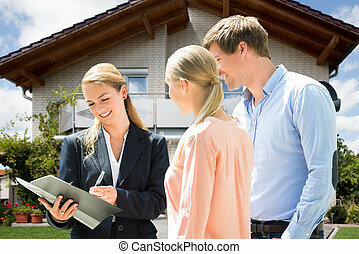 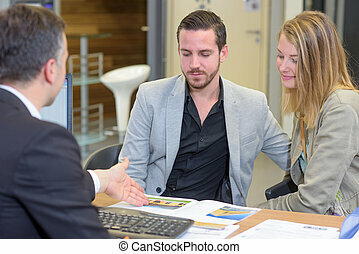 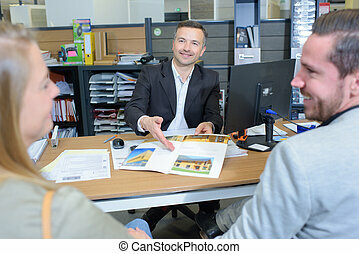 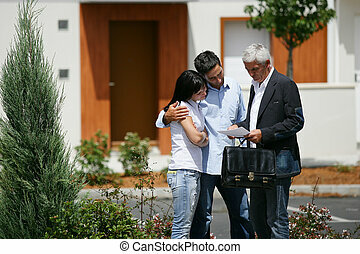 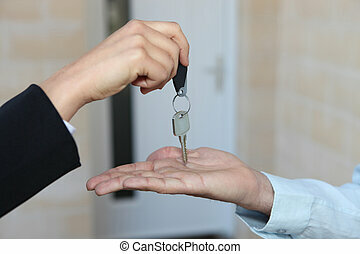 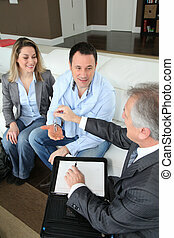 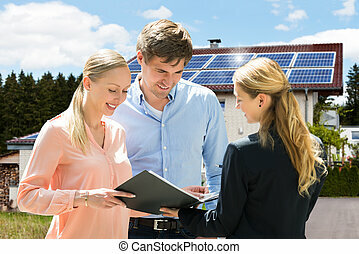 Female real estate agent and young man buying house. 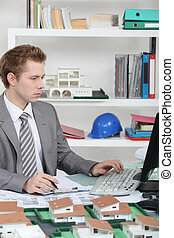 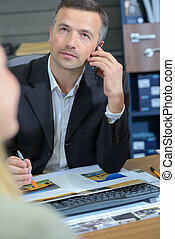 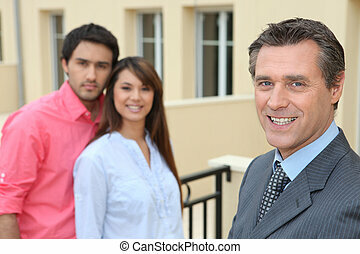 Real estate agent man over new house background. 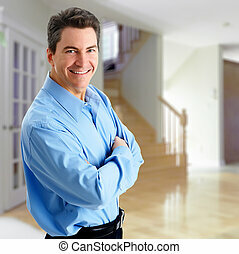 Smiling Real estate agent man at new house. 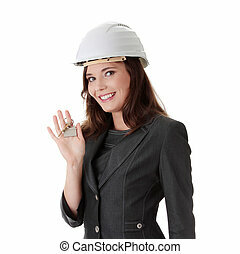 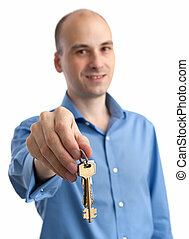 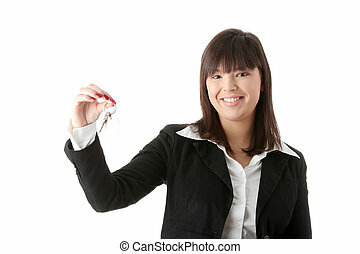 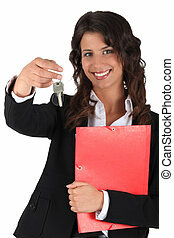 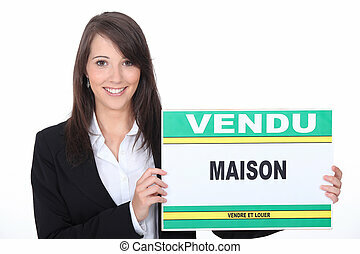 Young female real estate agent holding wooden toy house in one and keys in other hand. 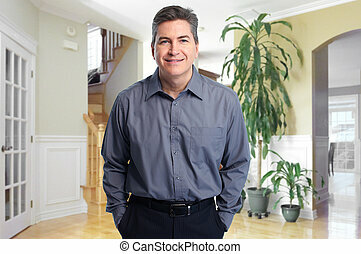 Isolated over black background. 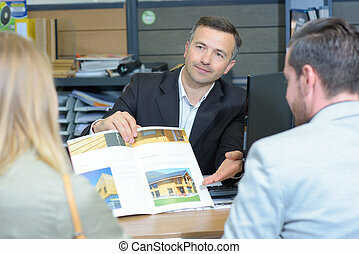 Real estate agent showing a house.